We have our first blog take-over today folks. 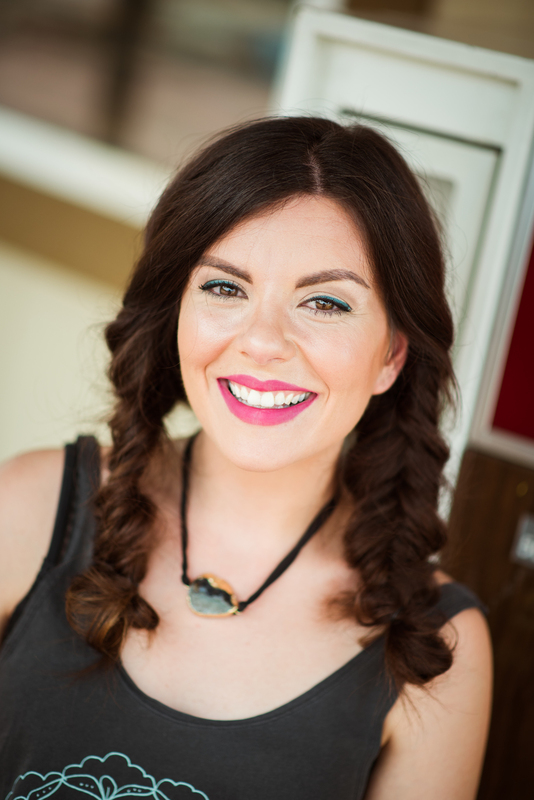 I'm happy to introduce the beautiful and talented Jessica McIntyre from Double Dutch Hair as our guest and hair expert for our glamping extravaganza. Here Jessica describes a few easy steps to achieving the perfect all-day braid fit for the Great Outdoors. "When I am getting myself prepared for a Glamping trip I make sure that my hair is properly prepped. With this little bit of added prep time I can ensure that you can get a good 4-5 days without being concerned with a shampoo. To Prep Hair - I curl set Charla’s ever so gorgeous locks and set them with R+Co Outer Space Flexible Hairspray. Allow to cool. 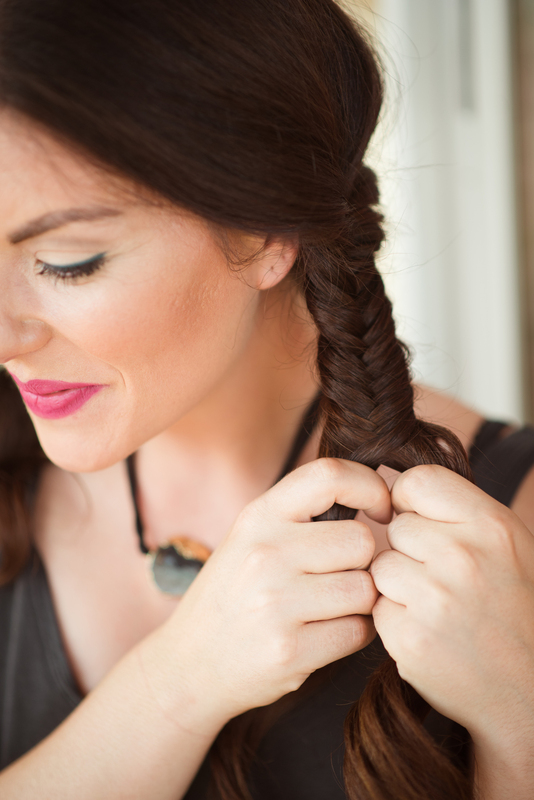 Create a fishtail braid on each side and secure with rubber band. This is the fun part! Working from the bottom of the braid up in small little sections deconstruct the braid to give it a more lived in and modern/funky vibe. Now you are ready to Party! 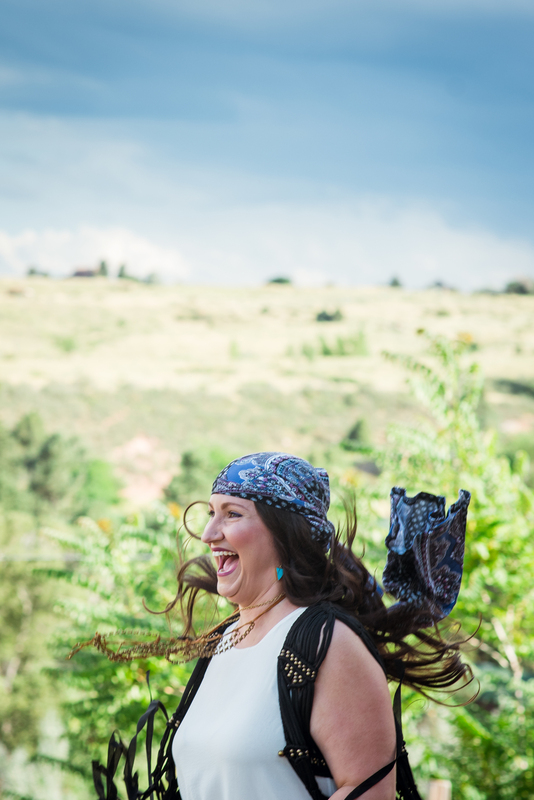 Go ahead and rock those two amazing braids like Pocahontas, or go ahead and add a hat to keep that sun off your face and you are good for a few days. At any point go ahead and drop those braids down and let them hairs just blow in the wind." Jessica before you go, I'd love to pick your brain on a few more topics. Q: What are your three most essential items for an outdoor adventure? 1. Hat, Bandana, Scarf and 1 or all of my faux fur vests. any and/or ALL of the above is always the first thing I’m thinking about when packing for a Glamping Getaway! 2. Badlands Dry Shampoo Paste and Kevin Murphy Young.Again leave in treatment oil. My Family Physician Kit of Essential Oils. 3. Headlamp, French Press, a couple of killer knives, Stemless wine glasses, tiki torches, and a Propane fire pit is the most amazing discovery!! I mocked my sister’s boyfriend when they rolled up to one of our Summer RV trips with a propane fire place. “That’s Lame! !, I annoyingly belt out at the top of my lungs. What’s wrong with a good old fashioned wood fire? ?” All I get back is “no wood, no smoke, no smell and its warm immediately.” Huh, I say…you had me at “no smell”I love a good ol campfire, but when Glamping, the last thing you want is your most amazing faux fur vest smelling like a campfire when you go home. Q: I need a new hair color. What’s your favorite trend for the upcoming fall & winter? Jessica: Make them Blondes brighter and make those Brunette’s darker, smokier and richer. I am also into really matte smokey colors…think…mauve, muddled violets and sheer gray. Any version of a Rose Gold is going to continue to be a hit will be my guess, and much easier transition from a gal who is already a blonde. Q: What’s your favorite thing about working on Broadway? Well first, Double Dutch (Hair Studio) is the most perfect fit for me as a stylist so I have to give a shout to all the gals! I absolutely love you Babes! South Broadway (SOBO) has such an eclectic, artsy, gritty vibe that just suits me. There is nothing cookie-cutter about South Broadway and that gives me a real sense of enlightenment. For such an eclectic mix of storefronts, we have a real sense of community throughout the neighborhood. Having DD being nestled on the block amongst a liquor store, tattoo shop, smoke shop, thai restaurant and art gallery, we consider our block to be full service. 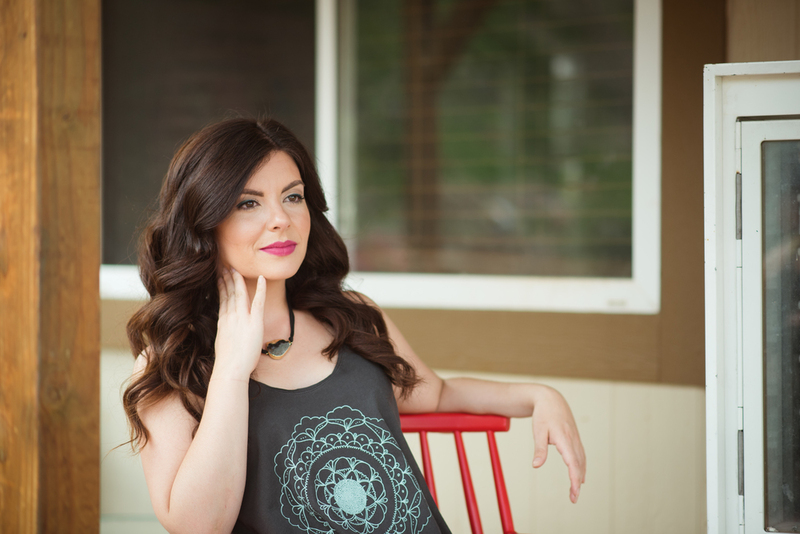 Also a HUGE thank you to the master behind these fresh, inspired faces, Mary Kate Addyman from Revival Aesthetics. You brought out the inner diva in all of us!